How can we as parents accept, nurture and facilitate understanding within our children while witnessing the more painful subjects in life portrayed through popular culture? 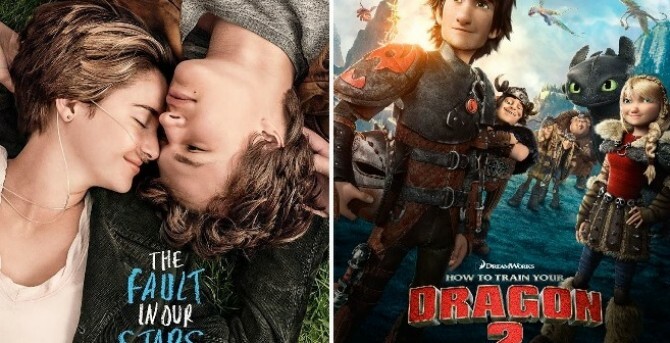 Two of this summer's most popular movies are stories of young people dealing with the harsher challenges of life both through illness and evil. In the popular film The Fault in Our Stars we see two teenagers fall in love while struggling with the chronic disease of cancer. In How to Train a Dragon 2 we see a young hero with a missing leg struggling to save his hometown from a terrifying villain. Both movies deal with very mature subjects and although there is redemption found in each film's ending, it doesn't make the journey any less sad and emotional for young filmgoers. The good news is that kids do get a lot out of seeing obstacles and hardships portrayed by others they consider trusted figures or peers. There is a lot of evidence that kids are much better able to talk, listen to, and learn from challenges when they know that you, their parent, or other characters in their favorite movies and books have dealt with similar challenges. This way of relating to difficult circumstances through witnessing the narratives of characters in books and movies allows kids to learn about their selves in a non-threatening way. After watching a movie, you can have conversations about the characters' obstacles and what he or she did to overcome them. You may be able to link it to your own, or if the time is right, your child's life so that they are empowered to try what the character did in order to get through or solve the dilemma. It is best to do this in a way that does not increase pressure for the child or make them feel badly about themselves, but rather consider that they too, can overcome a challenge like the character that they like or admire. Sensitive kids, as well as children with strong imaginations, will likely have a difficult time with characters who experience pain and hardship. I suggest allowing your child time to process on their own, as well as offer to talk about the movie or book and what occurred. If your child is visibly upset, or quietly upset, and he or she doesn't want to talk about it, allow them space to process it. Sometimes they will work through it on their own, other times they may ask questions later that night, while you are driving, or while eating a meal. Remember that we all process things differently. The bottom line is not to shy away from enjoying summertime with your children watching the latest flicks and encouraging them to dive into meaty books. Even if they are hard to watch and read or require you to travel to uncomfortable emotional depths, they provide an opportunity for dialogue and discourse with your child that can be ultimately priceless.